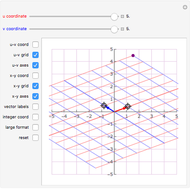 A basis for is shown along with a point . 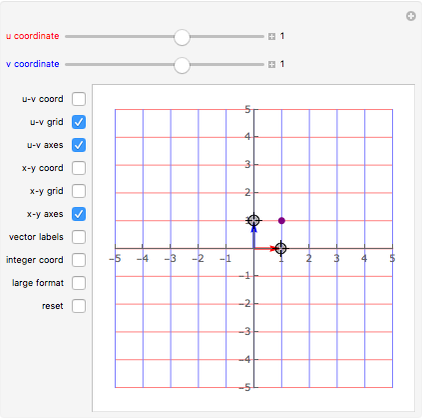 Changing the coordinates and shows how the point moves along a - grid rather than an - grid. 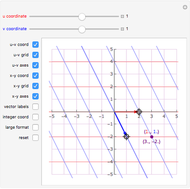 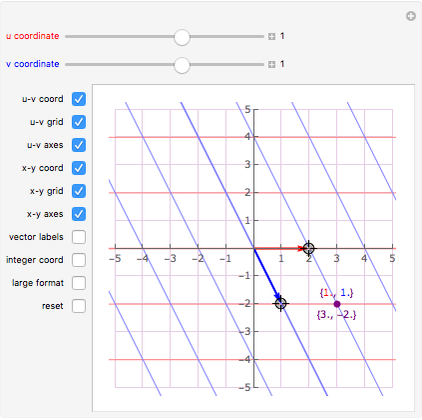 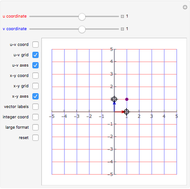 Changing the basis vectors and shows how the - coordinate grid and the point with fixed - coordinates depend on the basis vectors. 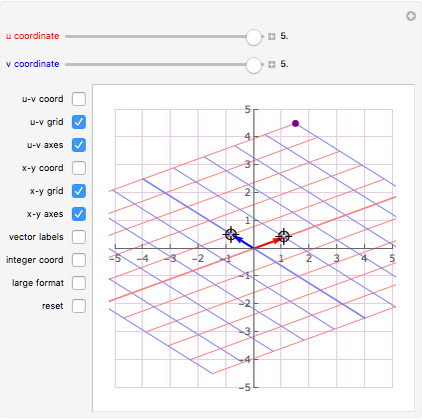 Eric Schulz "Coordinates of a Point Relative to a Basis in 2D"